No this is not a little torture device (wink) it's the e.l.f. Facial Massager. It's a skincare tool which allows you to easily massage your skin for relaxation, and to apply moisturizer and other skincare products. I loved using the e.l.f. Facial Massager in the evening after washing my face. I would apply serum, then roll the massager around my face, and then follow up with my night cream or skin oil. 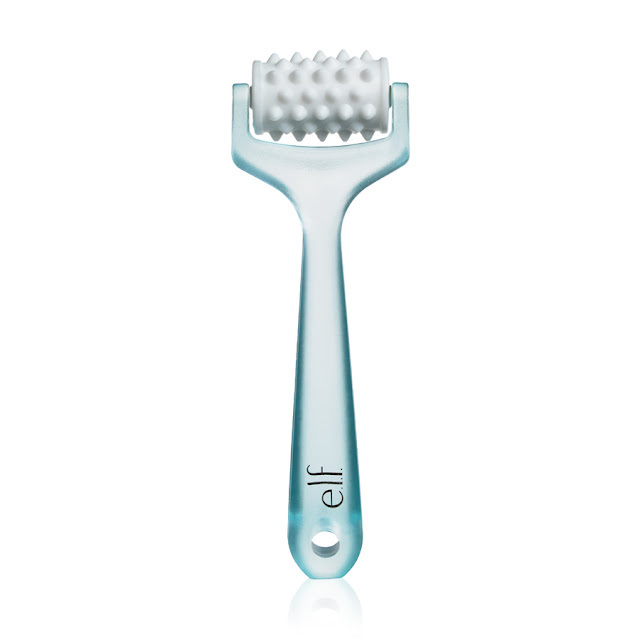 I really came to love using the massager to allow the product to penetrate my skin without using my fingers. My skin felt energized and more "alive" after using it. I followed the directions to use it properly, which is to move the roller up and outwards towards the edges of the face. For the forehead, I moved it side to side and also around my nose. The e.l.f. Facial Massager massager points on the white roller head are the perfect shape to provide a massage and do feel slightly "prickly". But they're not so sharp that they hurt or irritated my skin. The roller was easy to clean and it's the perfect price. The female Latrodectus mactans black widow spider is taken into account the foremost venomous in North America. Black widow spiders inhabit most of the hotter regions of the globe to a latitude of concerning forty five degrees N and S. They occur throughout all four deserts of the yank Southwest. how to treat a scorpion sting at home -Scorpions use their sting to get prey and to monitor themselves. They pursue amid the night and won't sting unless instigated or they feel weakened. All scorpions use their stings as a protect instrument or a weapon to debilitate prey. Regardless, the power to individuals of stings varies, dependent upon the scorpion species. One thing that all scorpions have in like way is that the sting has venom, which normally is neurotoxic in nature. A motivating discussion is worth comment. I do believe that you should publish more on this subject matter, it might not be a Free cartoon hd apk taboo matter but usually people don't talk about such issues. To the next! Many thanks! !